Louis Trager (ltrager@sonic.net), a staff writer and editor for 30 years with metro dailies and national publications, earned a Yale J.D. and a Missouri journalism masters. Recently it was reported that a blue-ribbon, anti-Iran nonprofit is so well-connected that it may have been working intimately with the U.S. government behind the scenes. Journalist Glenn Greenwald wondered whether the group, United Against Nuclear Iran, is in fact a government front. That would hardly be as unusual as you'd think. My research discloses that these organizations, far from being extraordinary, were just the most famous of dozens of elite, bipartisan “citizens committees” that have secretly collaborated with the administration of the day, whether Democratic or Republican. The partnerships have skirted legal restrictions on official lobbying and covert propaganda, or violated them; a dearth of enforcement makes it hard to say which. This pattern confounds conventional articles of faith about a pluralistic system founded on offsetting forces of government, business, and civil society, including contending Republican and Democratic parties. The pattern's duration contradicts beliefs that a robust and flourishing American democracy went sour sometime from the mid-1940s, when President Franklin Roosevelt died and the Cold War started, to 2010, when Obamacare and the Supreme Court's Citizens United ruling on corporate speech were decided. Year after year participants in these citizens committees came largely from the same pool of 250 people or so. 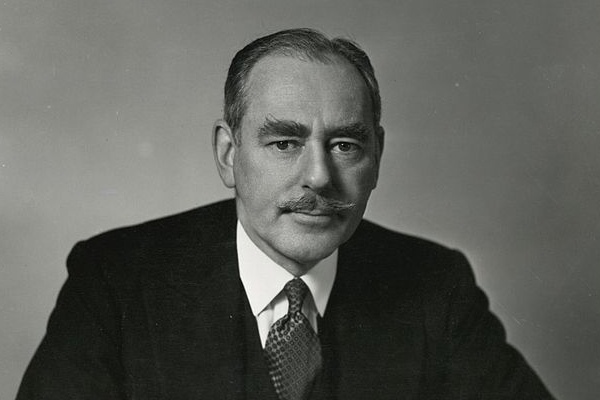 The few dozen leading names among them included liberal political icons like Senator Paul Douglas, of Illinois; top executives like Studebaker's Paul Hoffman; Wall Street lawyers like William Donovan and financiers like Frank Altschul; theologians like Reinhold Niebuhr; labor chiefs like the garment workers' David Dubinsky; Hollywood moguls like Darryl Zanuck; nationally known writers like Rex Stout. Citizens committees regularly came out on the winning side in mid-century battles that defined America's role in the world, and its character: for intervention in World War II and later the Dominican Republic and Vietnam; for creation of a U.S.-supported United Nations and of the Universal Declaration of Human Rights, postwar immigration policy, free-trade measures, and the Marshall Plan to rescue Europe economically; then onward to the construction of broad ongoing military and economic foreign-aid programs, the protection of the federal government's treaty prerogatives, the enormous U.S. Cold War military build-up as well as nuclear-arms limitations, and the tax cuts initiated by JFK that, with the Vietnam War, are blamed for stagflation in the late '60s. The citizens committees were impeccably well-connected, especially to the press, many of whose barons – Binghams, Cowleses, Luce, Reids, Whitney – were stalwart endorsers themselves. But the committees' greatest clout came through organizations run by and for Wall Street and corporate players, particularly the Council on Foreign Relations. The CFR, whose select membership supplied the vast majority of high-level officials in U.S. foreign and military policy for decades, has always disclaimed taking positions on issues. Yet William Bundy, editor of the Council's prestigious journal Foreign Affairs (1972-1984), acknowledged that CFR leaders were instrumental in the foundational committees that Acheson cited. Citizens committees served as front and proprietary cover organizations for Central Intelligence Agency operations involving everything from propaganda to paramilitary operations. Some of these committees -- including the long-running American Committee for Cultural Freedom and the full-blown spectacle of the Crusade for Freedom, featuring a truck and train tour of a Freedom Bell fabricated for the purpose -- helped shape domestic opinion and policy. Joseph McCarthy's 1954 censure by Senate colleagues was, in effect, his political downfall. It was orchestrated by the National Committee for an Effective Congress along with President Dwight Eisenhower's camp. The NCEC's Maurice Rosenblatt framed the operation as a revival of the World War II crusade against fascism -- in which he and other interventionists had spied on opponents, informed on them to the U.S. Justice Department, and produced bestselling exposés tying isolationists to Nazis. Scholars say this “Brown Scare” paved the way for the communist hunt that followed. Syndicated newspaper columnist and consummate insider Joseph Kraft wrote in 1966 that the “Establishment coalition of Big Government, Big Labor, and Big Business that has dominated American foreign policy for the past quarter-century” had been assembled to support direct intervention in World War II. Midwestern Progressives who defected from the New Deal were replaced in FDR's governing alliance by “men of business and finance from Wall Street and State Street, Eastern Republicans in the main.” This new alignment was reflected, in 1939, in the first mutual-support arrangements between the executive branch and elite citizens committees, namely the Non-Partisan Committee for Peace and the Commission to Study the Organization of Peace. Before the war, a political gap and social gulf had generally separated interventionists, who were largely WASP Republicans, from New Dealers and social democrats, who were disproportionately Jewish. Citizens committees – interlocked and cooperating with standing liberal organizations like Americans for Democratic Action and the AFL-CIO -- helped cement the dominance of the new alliance far beyond foreign affairs. “A strange hybrid, liberal conservatism, blanketed the scene and muffled debate,” wrote Godfrey Hodgson, an esteemed British observer sympathetic to the U.S. powers that be. “It stretched from Americans for Democratic Action,” at “the leftward frontiers of responsibility and yet … safely committed to anti-communism and free enterprise,” to those “board rooms of Wall Street and manufacturing” where business people showed flexibility toward unions, minorities, and the federal government. Much of this broad outline will sound familiar to students of conspiracy theories, especially those of some populists and libertarians, and the John Birch Society and its fellow-travelers. But powerful continuities of method, purpose, and personnel notwithstanding, the citizens committees and their allies formed no omnipotent monolith. They suffered personality conflicts, turf battles, and disputes among themselves over policy matters as momentous as whether to punish or nurture Germany after World War II. The dream that had sustained the citizens committees' interventionist base throughout its lean decades between the world wars – the creation of a single effective world organization for economic and military security – evaporated with the arrival of the UN and the Cold War. The citizens committees do, however, provide an important window onto the interactions of private and public power. Rosters such as the Citizens' Committee for International Development's “serve Establishmentologists in the same way that May Day photographs of the reviewing stand above Lenin's tomb serve the Kremlinologists,” the New Yorker's Richard Rovere wrote, partly tongue-in-cheek. “By close analysis of them, by checking one list of names against another, it is possible to keep tabs quite accurately on the Executive Committee.” Rovere didn't mention it, but President John Kennedy's administration had engineered the Citizens' Committee for International Development to support its foreign-aid program.